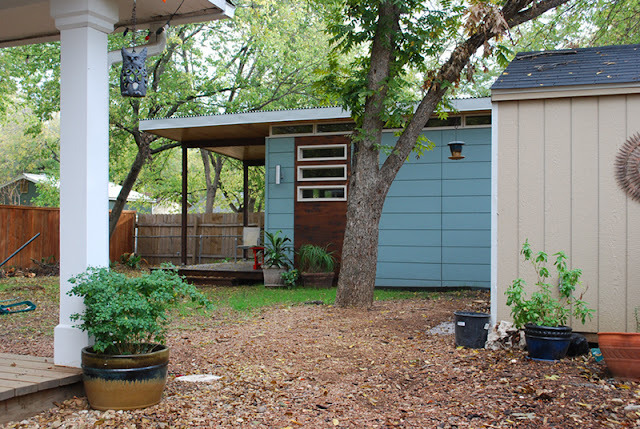 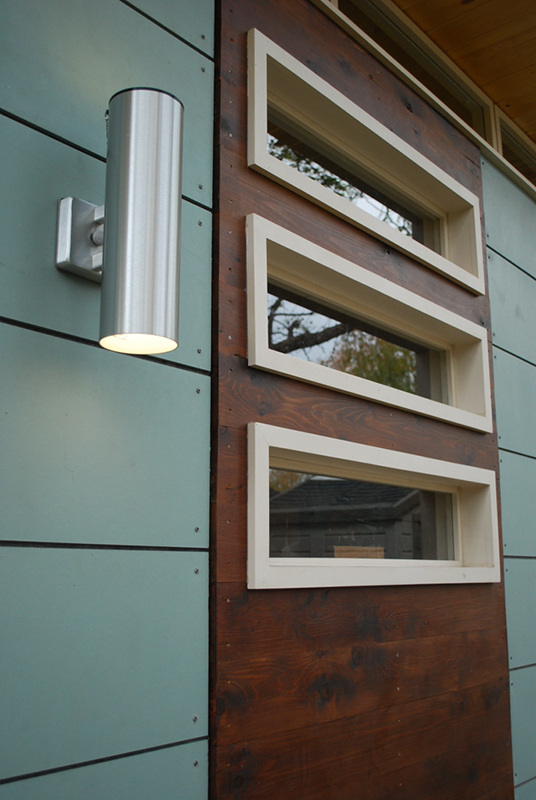 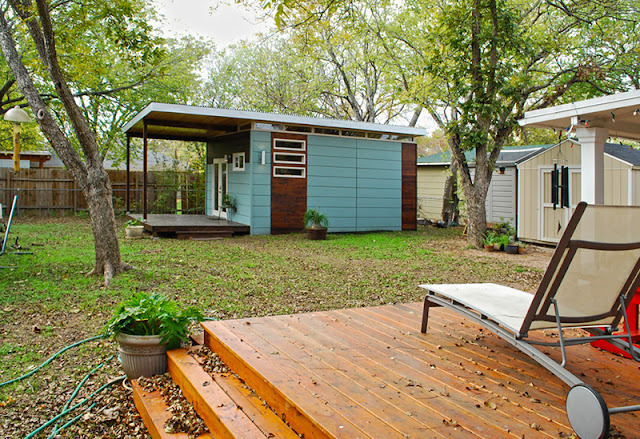 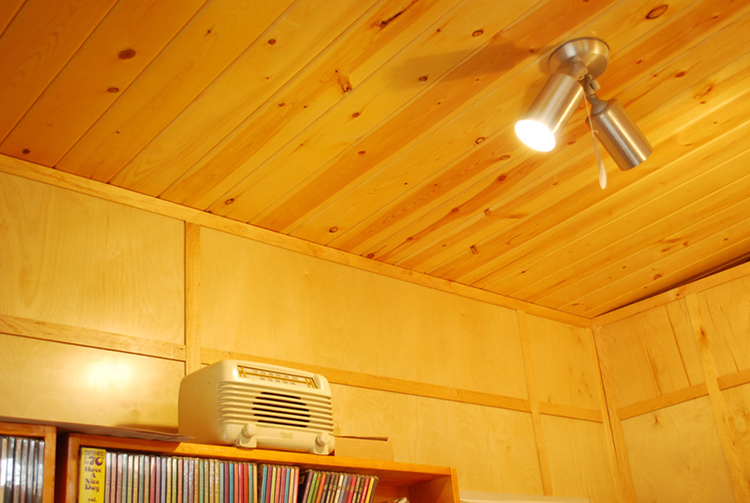 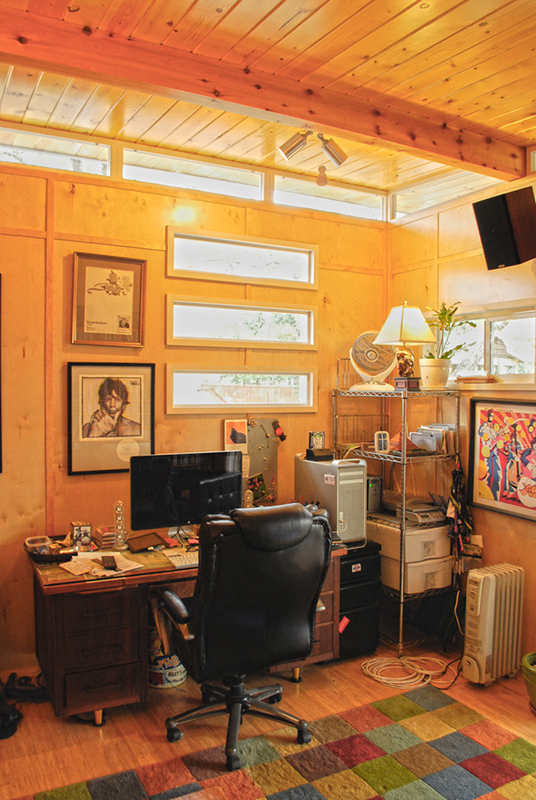 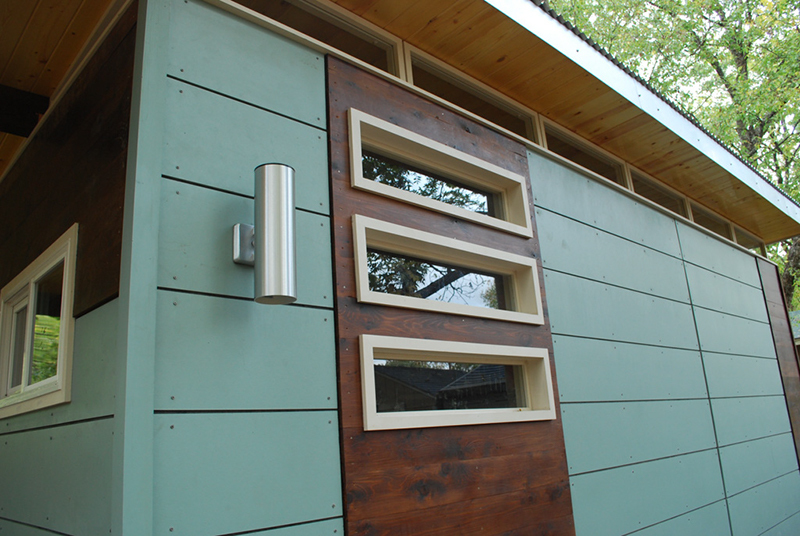 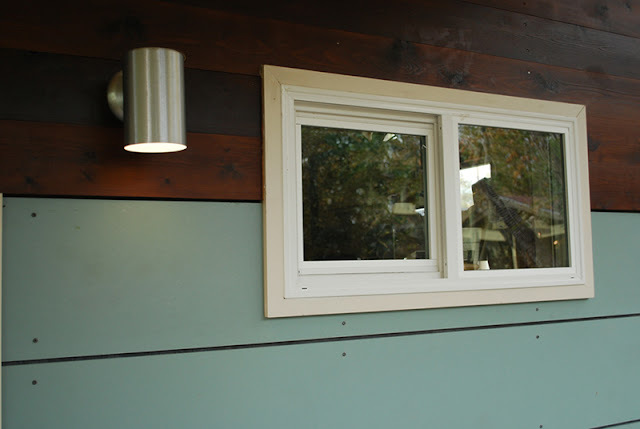 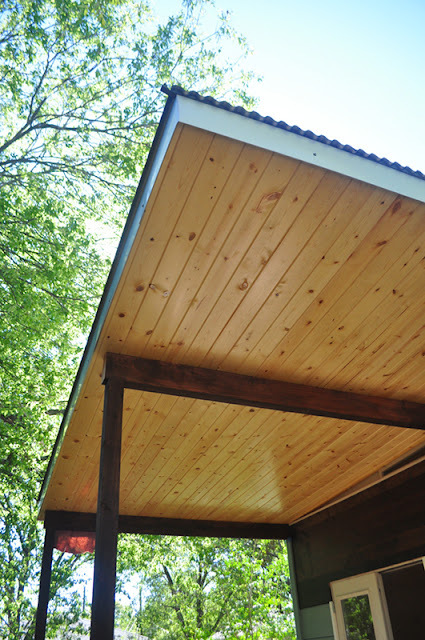 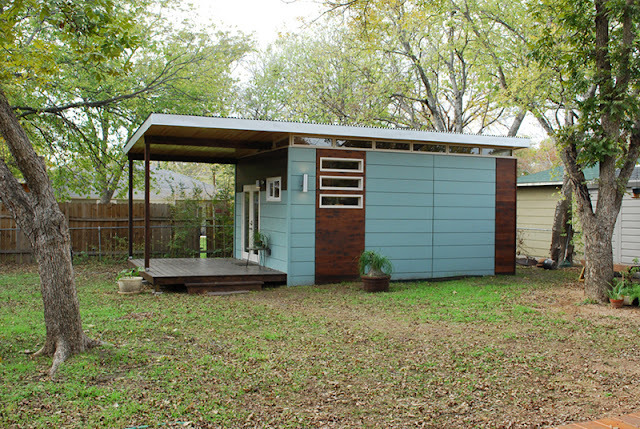 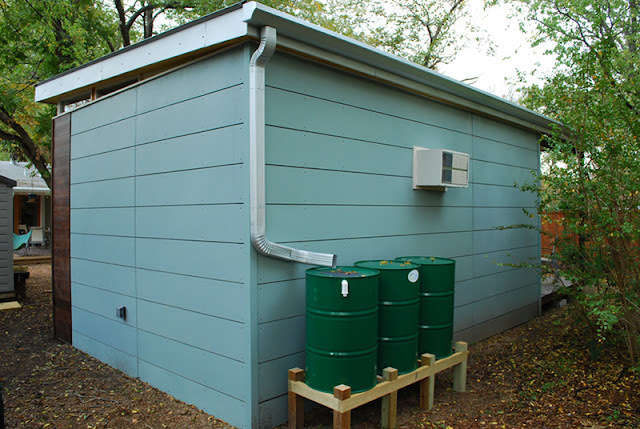 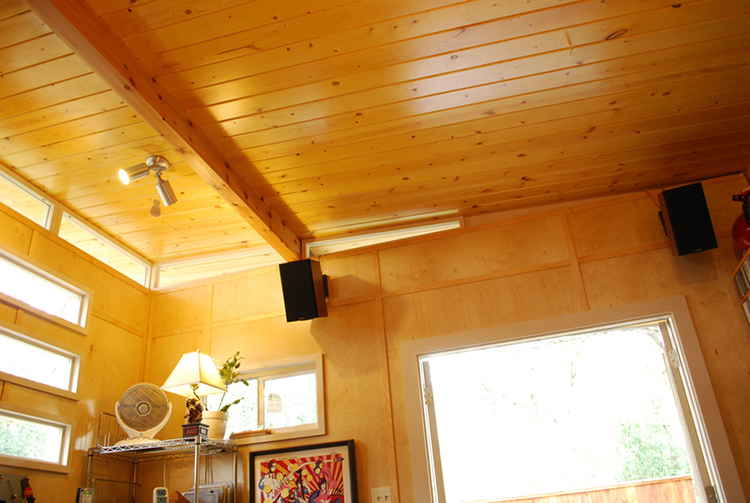 The 14’ x 24’ Modern Studio Luxe is a Kanga Room Systems tiny home located in Waco, TX. This model is very similar to the 14’ x 20’ Modern Studio Luxe; however, it has a porch and awning, and it does not have a kitchen. This specific model features a living area, a work area and a bathroom. 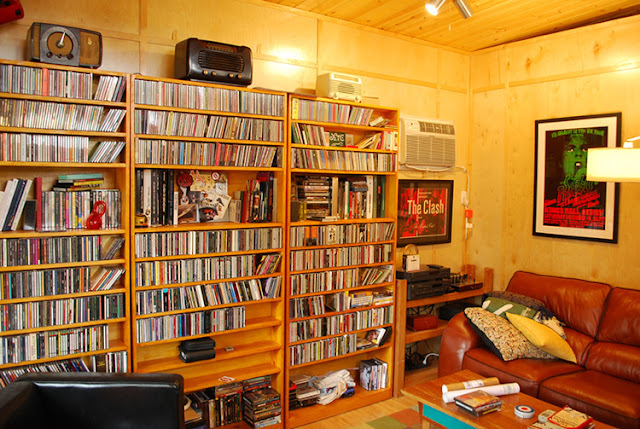 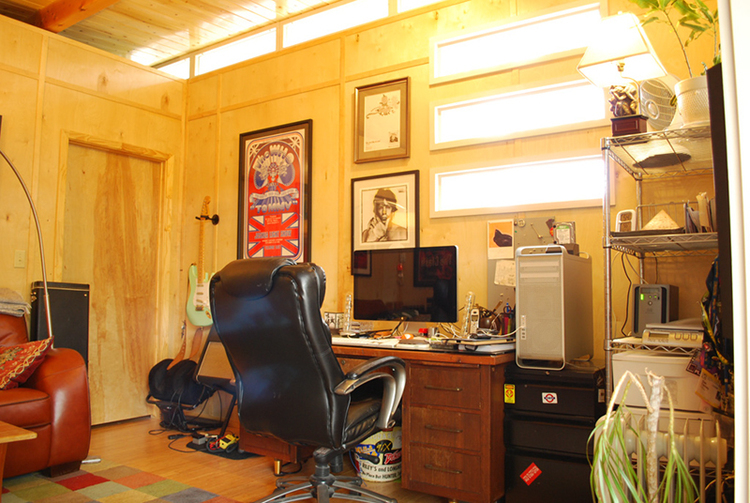 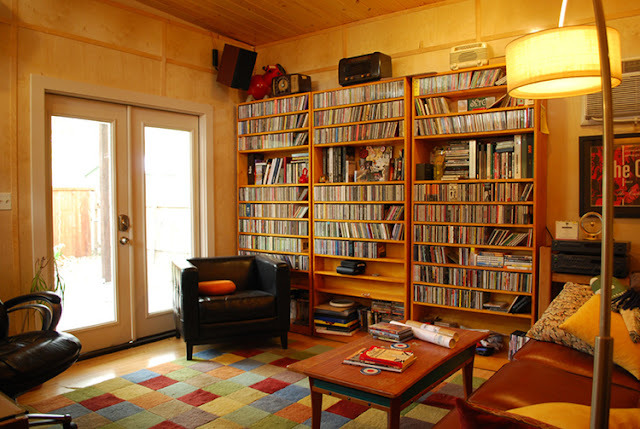 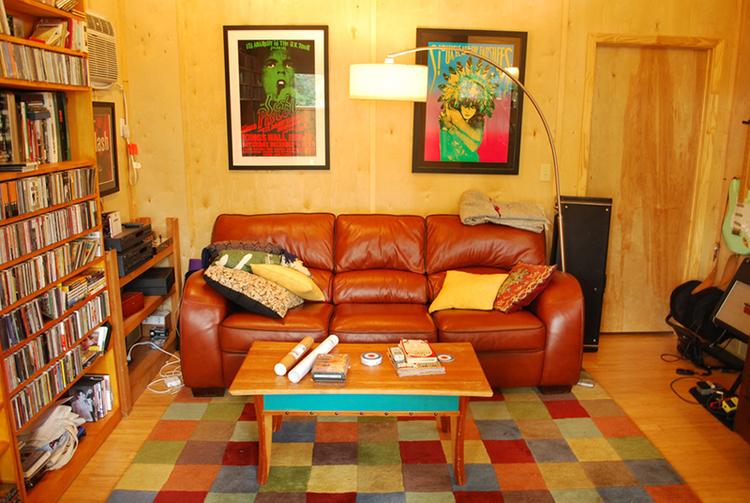 The living room is furnished with a red sofa, coffee table, black accent chair and three wooden bookshelves; and the work area has a computer desk, chair, office equipment and a wire storage rack. 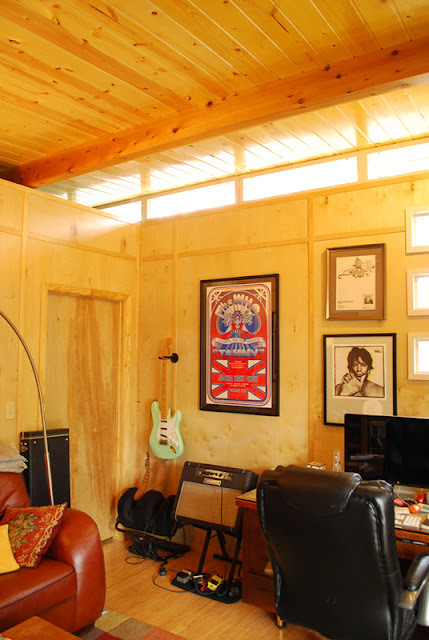 Although the model pictured has been designed to function as a lounging and working area, this model could also be utilized as a guest room! 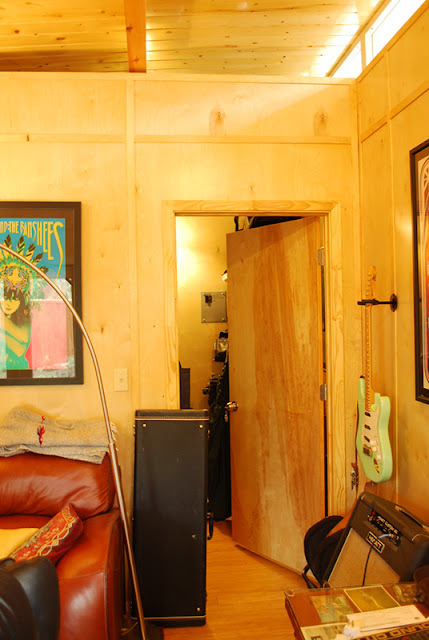 For more information on this Modern Studio Luxe unit, pricing and financing, contact Kanga Room Systems here!